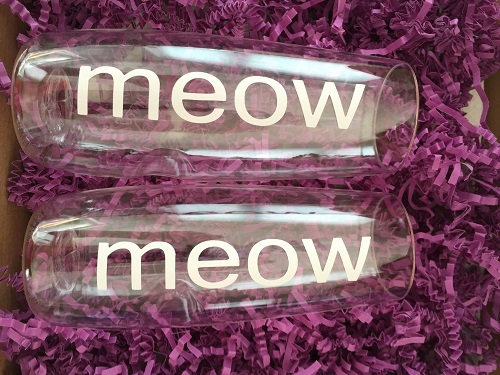 This exclusive champagne flutes, customised with the word MEOW were in our July subscription box. They are made with the high quality reuseable Govino plastic, shatterproof glasses - purrfect to use outside at parties, picnics and music festivals! Each glass is £5.50. SOLD IN SINGLES - but you are able to buy in multiples.